There’s so much to love, so much that held me spellbound, the fact I’m sitting here annoyed that Mortal Engines never works nearly as well as it by all accounts early on looks as if it is going to has me lingering in a state perilously close to anger. The Quake might not shake, rattle and roll to the same extent its superb forerunner did but that doesn’t mean it also isn’t worthwhile, this bone-chilling sequel an effectively entertaining follow-up I hope fans of the first film take the time to see. There is something new about Spider-Man: Into the Spider-Verse that can be traced squarely to the injection of this fresh blood into the proceedings. Miles is a hero anyone and everyone can relate to, making his animated debut a family-friendly present worth heading to the closest theatre to unwrap at any point throughout this holiday season. 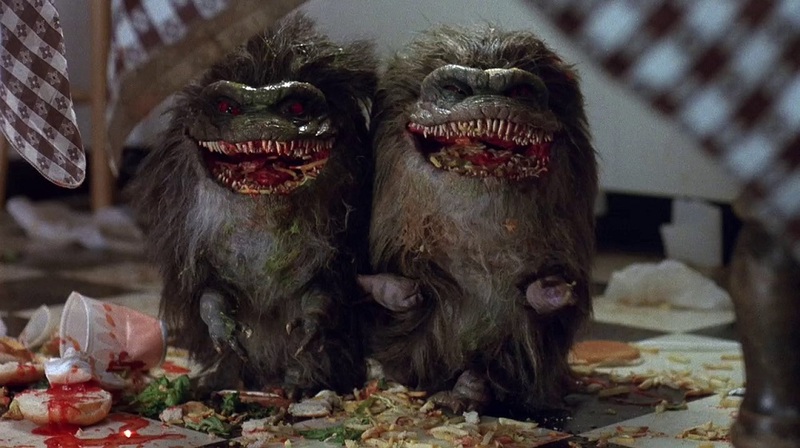 There’s a reason the Critters series has remained so popular for the past three-plus decades, the first two films winningly inventive and hugely enjoyable even if they’re also undeniably slight and purposefully silly. Not going to mince words: I’m in love with idiosyncratic director Yorgos Lanthimos’ mind-bending historical drama-comedy-thriller-satire-political commentary oddity The Favourite. Vox Lux begins with an act of violence so sudden, so explosive, so exploitive it wouldn’t surprise me if some viewers stop watching barely ten minutes into the movie. Roma is a feast. It is a feast for the eyes. It is a feast for the senses. Most of all, writer/director Alfonso Cuarón’s latest is a feast for the soul, this meditative marvel of memory, regret, friendship, family, history and love a majestic treasure trove of emotion that is stunning in its empathetically human largess. Anna and the Apocalypse is a spectacular blood-soaked blast of mirth, mayhem and music, and even if this might be the end of the world the filmmakers have still delivered a raucous celebration of high school Sturm und Drang that’s an apocalyptic delight I cannot wait to watch, and sing along with, again sometime soon. I didn’t give Mick Garris’ Sleepwalkers enough credit back in 1992. It’s a much better film than I originally stated filled with some deliciously devious moments. At the same time, it’s still not the most memorable supernatural offering of the era, and even with Stephen King’s name front and center this still feels like a middle-of-the-road tale from the iconic author than it does one of his essential pieces of horror fiction.